Take the opportunity to see the beautiful Cascade Mountains from a different perspective: high in the saddle! 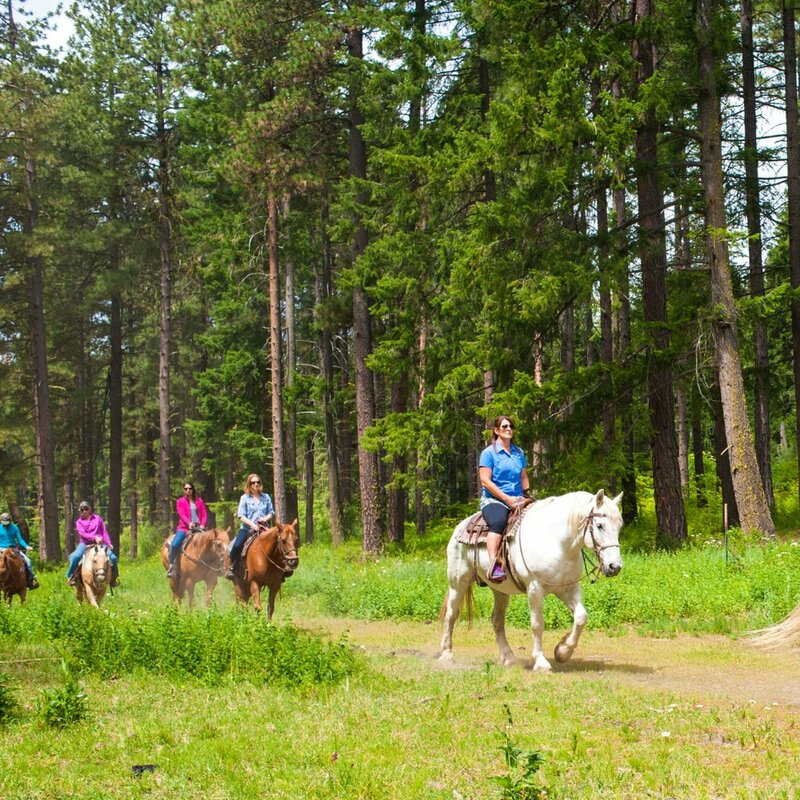 Wild at Heart Horse Rides in Leavenworth Washington offers horseback rides for all riding abilities, experienced to beginner, young and old alike. We are nestled in a quiet valley 25 minutes from downtown Leavenworth and only 2.5 hours from Seattle. We ride from our barn into the canopied forest on privately owned trails. 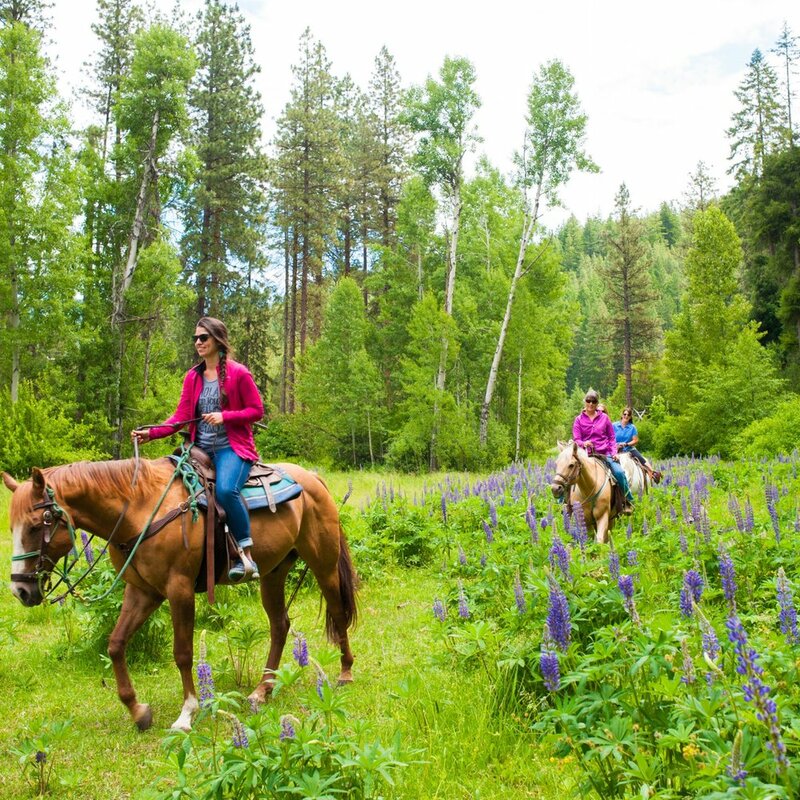 Experience mountain meadows bright with seasonal wildflowers, Beaver Creek and stunning views of the Cascade Mountains and iconic Lake Wenatchee. Our horses are part of our family and we strive to ensure their happiness and comfort along with yours. Our horses live a very natural lifestyle. We ride without bits and thanks to our dirt trails and the help of a professional barefoot farrier, our entire herd is kept "barefoot" - i.e. no horseshoes, which allows a more natural gait and cadence. Each ride begins with an instructional overview to help make us better partners in the saddle. This Christmas, give them an experience they’ll never forget! ALL specialty rides must be booked in advance by e-mail. Specialty rides have limited availability. We are passionate about our horses' health and happiness. They are beautiful, gentle animals and we believe in having a partnership with our 4 legged friends. They are routinely rotated so everyone has days off to relax and graze in one of our large fields. We ride our horses barefoot...not you, the horse!! We ride on dirt trails and our horses do great without horse shoes, just like their mustang relatives. We also ride without bits in their mouths, instead they respond to gentle pressure on their nose. Occasionally we will add a new horse to the herd who hasn't graduated to riding without a bit but it usually doesn't take long. Each of our horses is unique and have a distinct personality. Check them out below. We strive to take excellent care of both you, our guests, and the horses. That means we have some rules we like to follow. Please look through our information about age requirements, helmets, weight and height restrictions, drive time and a few more important details. Wild at Heart Horse Rides is located at Mountain Springs Lodge Resort in Leavenworth Washington. Tucked back in the foothills of the Cascades we are a 25 minute drive from downtown Leavenworth and only 2.5 hours from Seattle.